We all love it: the family vacation—that annual stretch of quality-time-togetherness. And South Carolina’s Grand Strand is the place to go, 60 miles of pristine, white-sand beaches beneath marbled-blue skies and a golden sun. Imagine sprawling days of warm waters, volleyball on the beach, sandcastles, surf-fishing, surf-boarding, water parks, miniature golf, and beach-napping. Now, that’s a vacation. But around mid-week, sun-reddened bodies, deflated floats, and bickering among the little minions may appear—a sure sign of the dreadful SSSO (sun, surf, sand overload). Time for a change of pace. Time to escape the Myrtle Beach crowds. So get everyone in the car, and drive south on Highway 17 (about 30 minutes from Myrtle Beach) until you reach, Murrell’s Inlet, Litchfield Beach, and Pawley’s Island. Beautiful beaches are found there, too, of course, but the small villages, offer alternatives to the rush and rumble of larger beach towns. 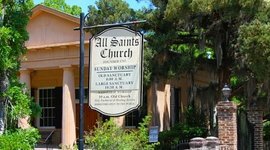 Beneath ancient oaks and palmetto trees, a narrow road leads to All Saints Church, a grand example of the Classical Revival architecture of early American history. The present building has graced these hallowed grounds since 1917, where an original wooden structure was built in the 1730s. 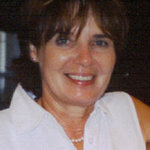 Artists, historians, and photographers adore the site. The cemetery is noted for its enchanting landscape and several historical dignitaries are buried beneath the beautiful collection of gravestone art. Oh, yes, and a few ghosts walk there, as well. 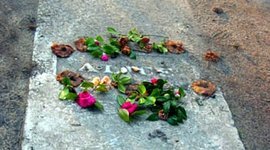 The ghost of Alice Flagg, whose grave, a simple concrete slab, is inscribed only with her name: Alice. She died of a broken heart, as the legend goes, and has wandered for over a century across the grounds and surrounding marsh, searching for her lover’s ring. It is said if a person brings a gift to leave on Alice’s marker and can walk backwards around her grave thirteen times without stumbling, she will appear. If it's ghosts and mysteries you seek take a journey through the Grand Strand's biggest haunts. In the shadowy coolness there, I’ve managed seven laps before tripping. A tree root? A wayward, tangled ball of Spanish moss? Or perhaps Alice herself reached out to catch hold of me. Whatever it was, I failed to appease sweet Alice’s spirit. But maybe you’ll have better luck. 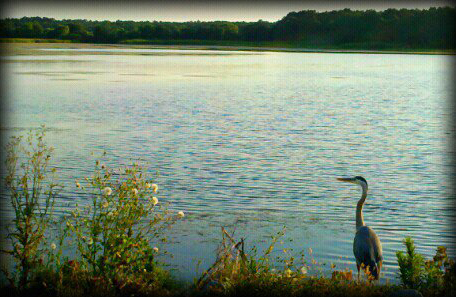 Hours: You may wander the grounds any day before 6 pm. Services are held every Sunday. If you’re hungry afterwards, you really are in luck. 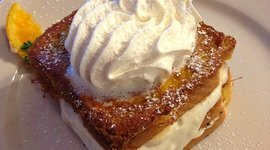 Just up the main highway, you’ll find Applewood House of Pancakes, a family restaurant, that offers local favorites for breakfast, brunch, and lunch (to-die-for whipped cream and sausage on blueberry pancakes, or the three-salad plate — a serving of chicken, tuna, and egg salads). You’ll get fast, friendly service, too. Enjoy the local artwork display while you indulge your appetite. 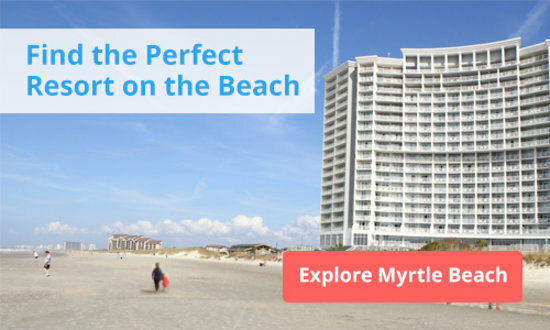 It's also another great place to avoid the crowds of Myrtle Beach. 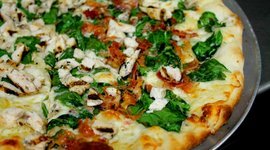 If your minions’ appetites clamor for pizza on this day trip, stop for some of the best at Massey’s Pizza. Eat inside or enjoy the pet-friendly patio. (Try the calzones!) And to finish off the meal, try the best ice cream on the coast of South Carolina at Paradice Ice Cream and Ice Treats. There may be a line, but the treats are worth the short wait. 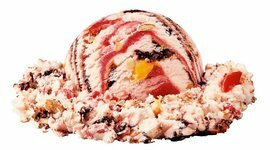 Choose from a universe of flavors, coatings, and toppings to fill cones or waffle bowls. For a lighter dessert, try a refreshing yogurt or Italian ice. They come in delicious varieties. 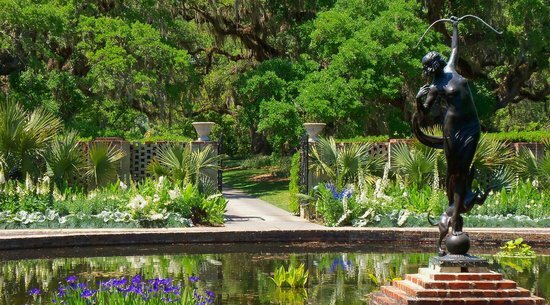 And for even more variety in your day trip, check out my vision of heaven right down the road at Brookgreen Gardens. Whether your looking to actually escape the Myrtle Beach crowds or your just looking for something interesting to do, the family will enjoy exquisite sculpture, history tours, and the on-site zoo. (The kids won’t realize they’re learning.) Choose from pontoon river tours to explore the old rice plantation, walking tours to view wildlife and native plants, or wander through the 1400+ award-winning sculptures gracing the acreage. Adventurers over six years and adults might brave the rough-and-ready overland vehicle tour that takes passengers deep into the Preserve (a bumpy ride, but so worth it). Special events are scheduled at the grounds throughout the year. The Christmas light display is MAGICAL! Purchase of admission to the gardens is good for seven days. Boat and overland tours cost extra. For these, you’ll want to reserve your space and time. 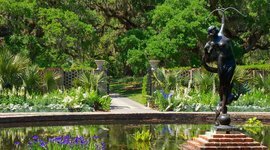 In regard to time, choosing separate days to enjoy Brookgreen Gardens or the beautiful Huntington Beach State Park will allow enough to enjoy each. Huntington (not just for campers) consists of three miles of undeveloped beach, fine surf fishing, boating access, a nature center, hiking trails, picnic shelters, and biking trails. It's one of many great nature adventures in Myrtle Beach. 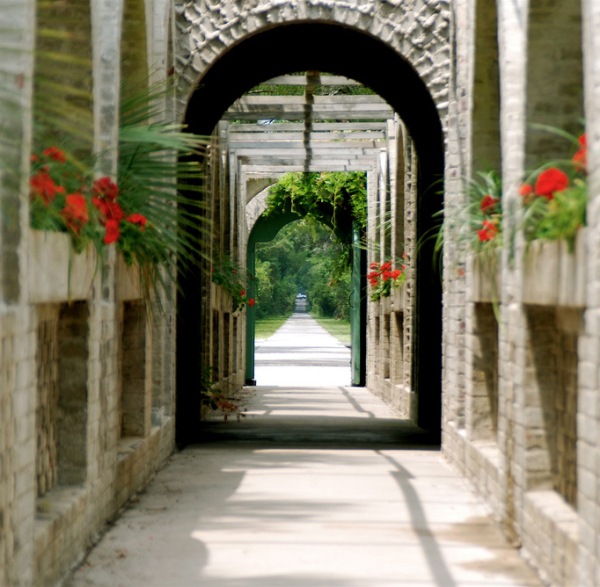 And please don’t leave without experiencing the enchantment of Atalaya. Guided and audio tours are available, and the three-day autumn arts and crafts festival is awesome. The beautiful ambiance of the Moorish-style mansion will remain with you long after your visit. 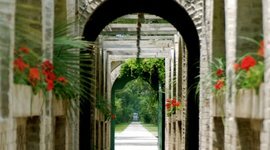 Built and cherished by philanthropists Archer and Anna Huntington, Atalaya and Brookgreen Gardens serve as their beautiful legacies. The crowds of Myrtle Beach rarely come down here, making this an idyllic day trip for those in need of some culture and space. And legacies do abound here in the South. Passed from generation to generation in South Carolina is the annual shopping trip to the southern Grand Strand. 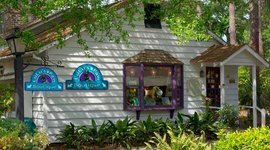 Don’t miss The Hammock Shops Village at Pawley’s Island, home to over 20 one-of-a-kind shops and a playground for the kiddies. (Never napped in a Pawley’s Island hammock? Well then, you’ve never really napped.) You’ll find just about everything in the Village from art to antiques, boots to bows, Christmas to candlelight dinners. 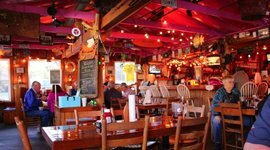 But if you don’t have dinner at the Hammock Shops, drive just a short way down Highway 17 and top off your day’s adventures at any one of the numerous restaurants along Murrells Inlet. Choose from fine-dining to buffet, romance to family-and-pet-friendly. 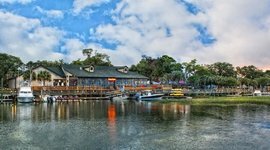 My all-time fave: The Inlet Crab House Restaurant and Raw Bar (Not a buffet!) 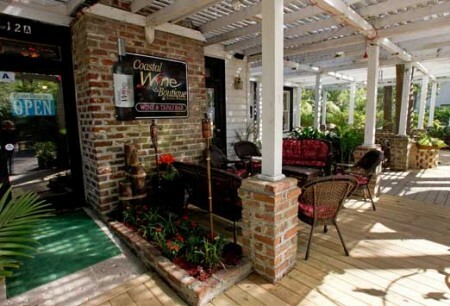 offers wonderfully cozy, casual, inside/outside dining. Try the crab, scallops, flounder, and, of course, the oysters. 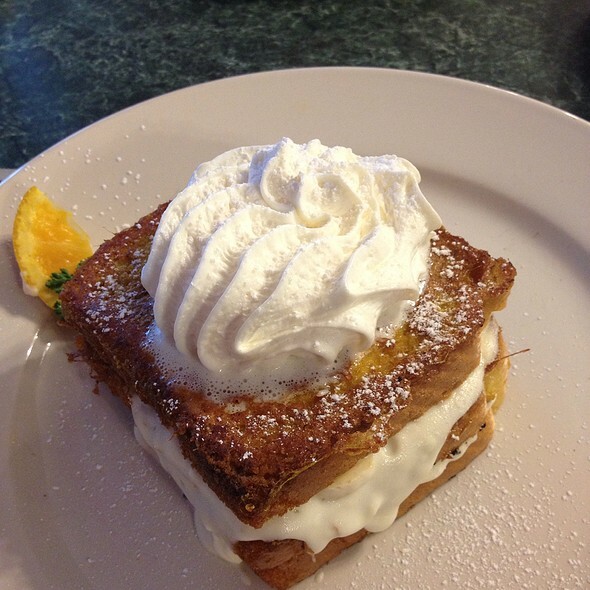 (Oh, and that crab melt available only at lunch is sinful.) Trust me Myrtle Beach does seafood right. Relax and enjoy. It’s all good, y’all. Built with Roman columns, All Saints Church is a grand example of Classical Revival architecture. 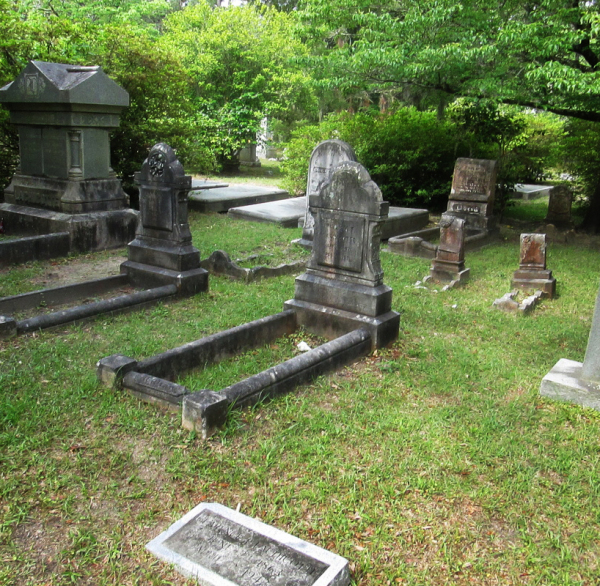 These hallowed grounds are also home to a haunted cemetery. Homemade whipped cream on blueberry pancakes? Say no more! This is a great place to stop for breakfast when exploring the South Strand. 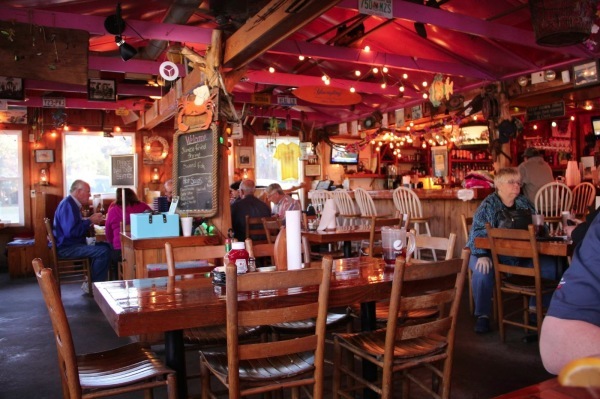 Finish your tour of the South Strand at this casual seafood shack. Get a taste for the area's signature crab, scallops, flounder, and oysters. Hungry for lunch in the South Strand? 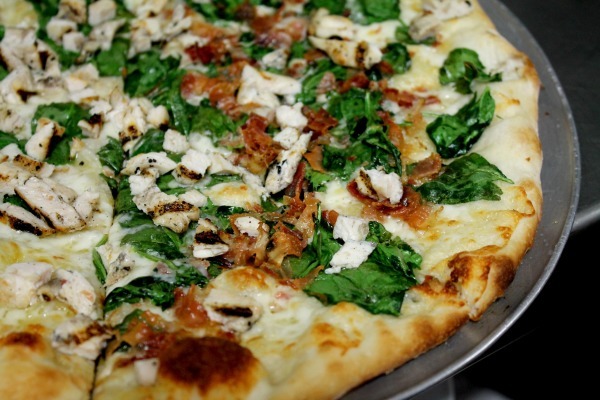 This family pizza joint serves tasty pies with a variety of toppings. The line is worth it! Stop by for dozens of flavors, toppings, and sauces to fill your cone or waffle bowl.